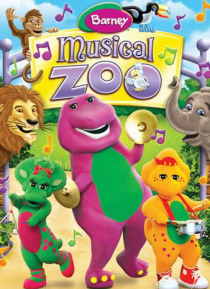 Come along for great musical adventures with your favorite purple dinosaur! Hear an elephant trumpet and a lion roar as Barney(tm) and Riff(tm) create a wild and exciting concert filled with exotic animal sounds. Then BJ(tm) and Baby Bop(tm) get into the act, learning about rhythm and performing for others in this special orchestral treat that the whole family will trumpet over.